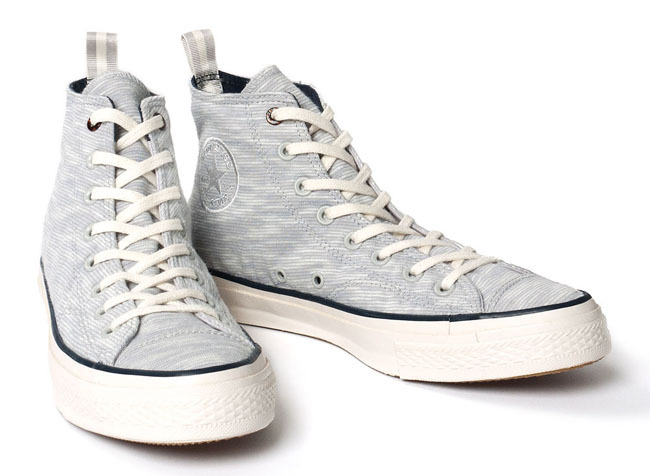 WIth this entry into Converse's premium First string collection, the iconic Chuck Taylor has been given a makeover. 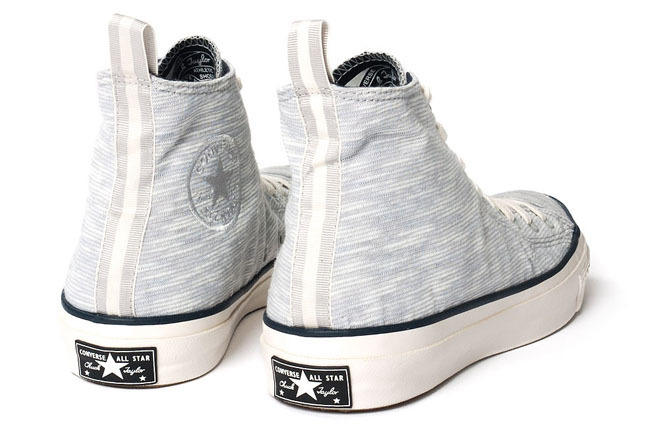 WIth this entry into Converse's premium First string collection, the iconic Chuck Taylor has been given a makeover. 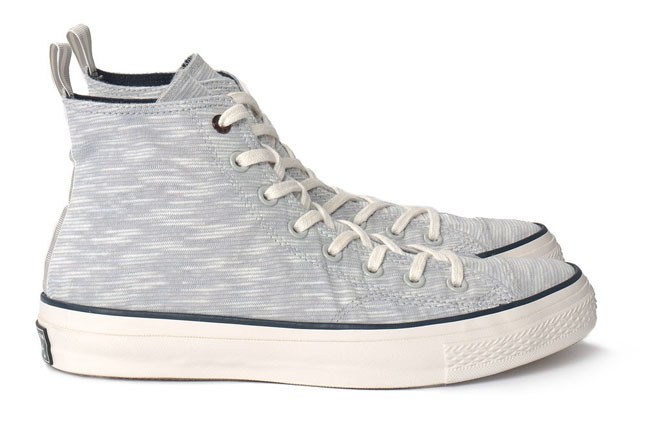 Rather than having a standard canvas upper, the CT Spec Hi High-Rise incorporates a duel-layer construction with jersey cotton on the outside, and nylon on the inside. The concept is that with wear and age, the top layer will eventually give way to show the nylon layer below. Additional details include grosgrain heel tab, and tortise shell top eyelets. The CT Spec Hi High-Rise is available now at Haven for $100.